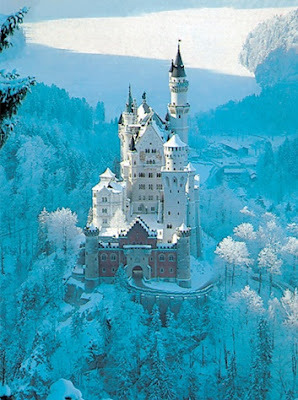 Neuschwanstein Castle (German: Schloss Neuschwanstein, pronounced [nɔʏˈʃvaːnʃtaɪn]) is a 19th-century Romanesque Revival palace on a rugged hill above the village of Hohenschwangau near Füssen in southwest Bavaria, Germany. The palace was commissioned by Ludwig II of Bavaria as a retreat and as an homage to Richard Wagner. Contrary to common belief, Ludwig paid for the palace out of his personal fortune and extensive borrowing, not with Bavarian public funds (see below).